Parents, here is the reality: long gone are the days when bullying would only remain in the school yard. Cyberbullying is real. The Herald Sun reported 30% of Australian children aged 9-17 were bullied online in 2016. This comes as no surprise, as children were spending an average of 12 hours a week online in 2016, according to a study from Roy Morgan. Children’s eSafety Commissioner, Julie Inman Grant, said in an interview with ABC that the number of cyberbullying cases had continued to rise in 2017, with a 60% increase in cyberbullying cases recorded. We are now in 2018, and there will still be many children facing the pain of cyberbullying in their own home. It is NEVER okay for a child to feel bullied and traumatised when they go onto the Internet. Today is Safer Internet Day, a worldwide event in approximately 130 countries that makes a stand for every child to feel safe from bullies and predators. Safer Internet Day aims to raise awareness of emerging online issues and chose this year’s theme to be “Create, connect and share respect: A better Internet starts with you”. If you are a parent, we strongly encourage you to understand what cyberbullying is, how it affects your child and how to support them. When children face consistent cyberbullying over long periods of time, they are at risk of suffering anxiety, depression and other stress-related conditions. They can be as young as 10 years old. What are the signs my child is being cyberbullied? Jumps when the phone buzzes. What can you do as the parent? Start the conversation early. The moment they start using the Internet, tell your children what cyber bullying and cyber safety is. Prepare your children to know how to deal with it. Explain the importance of Password Security. Tell your kids why they should never share their passwords with anyone, online and in the real world. Make it real to them what the risks are of someone having their password. Teach respect. Educate your kids with the message that the way you treat others online is no different to how you treat people in real life. Show the importance of communicating with respect. Be observant. Look out for any changes in your child’s emotional and mental state. Talk your child’s teacher to see if they have noticed behavioural changes. Tell your child that you are always here for them without judgement. It’s hard to be a parent and not tell your children what you think is right and wrong. 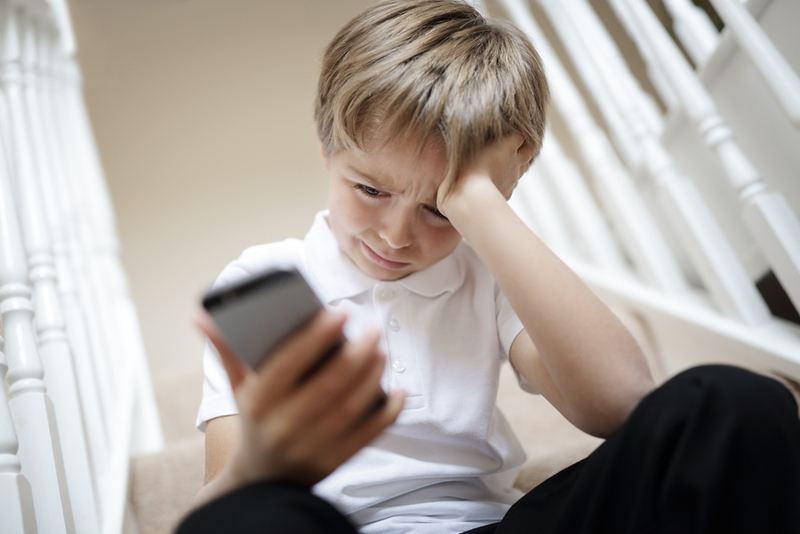 Your child could be experiencing cyberbullying, or IS the cyber bully. However, children should always feel that they can approach you a problem, and not feel judged. Parents, help your children enjoy school this year without feeling alone to face cyberbullying.